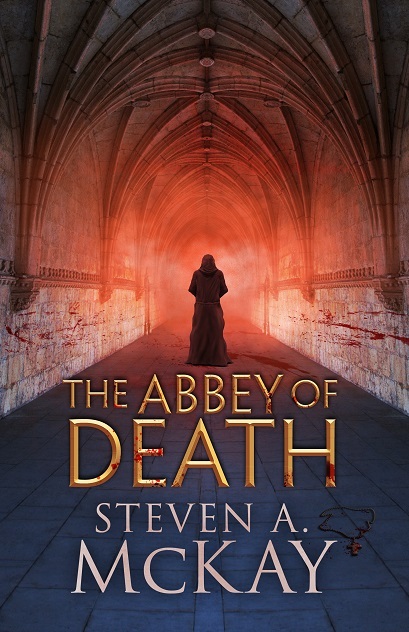 Yep, that’s right – The Abbey of Death is now available, at last, as a paperback. It’s been available for about a year in Kindle format (and is actually FREE to Amazon Prime and Kindle Unlimited members right now) but I’ve finally been able to get permission from the ebook publishers to do a paperback for those of you who don’t do digital. To celebrate, I am giving away THREE copies of the “proof” version which has a different cover to the final edition (the proper art is the top one in the pic, without the roasary beads over the title) and, as such, these are the only 3 that will ever be made with that art. Nice little collector’s item I think! 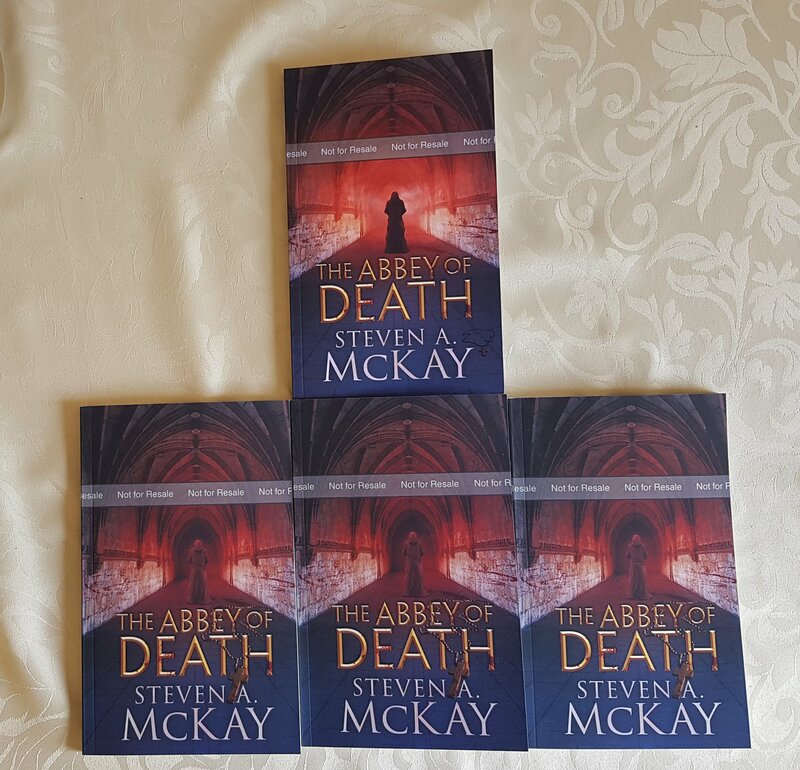 One of those copies will be won by a member of my email list (if you haven’t signed up you should do so HERE) – if you want to win one of the other two just hit the SHARE button below and share to Facebook, Twitter etc. Please let me know you’ve done it by leaving a comment so I can put your name in the magic hat! Open worldwide. The one irritation is that the proofs (I used Kindle Direct Publishing this time rather than the usual Createspace) have a big band across the cover. Still a decent freebie though, eh? On another note, my agent is still hunting for a publisher for The Druid so keep those fingers crossed. In the meantime, I’m working on the “Roman slave in Britain” novel which is completely different to my other work. I’m really excited about it, I hope you all give it a look once it’s available! Hope you like it mate!